"I support comprehensive legislation to curb harassment and sexual violence in the workplace. I urge you to support the BE HEARD in the Workplace Act today." Why is ending workplace harassment important to you? Check this box if you have experienced harassment at your job. Harassment could include sexist, racist, or homophobic comments, sexual comments that make you uncomfortable, unwanted sexual advances, intimidation, etc. Over the last year and a half, millions said #MeToo and shined a light on the epidemic of sexual harassment--but our laws have lagged behind this cultural awakening. Service industry workers are still forced to put up with harassment to make a living and domestic workers are totally unprotected. Federal anti-harassment laws leave millions of people behind. Everyone deserves to work with safety and dignity. Now, finally, leaders in Congress are taking action to make that a reality by introducing bold legislation to curb harassment and sexual violence for all workers across the country--the BE HEARD in the Workplace Act. Now that this bill has been introduced, it's on all of us to create a groundswell of support to show that we demand action. 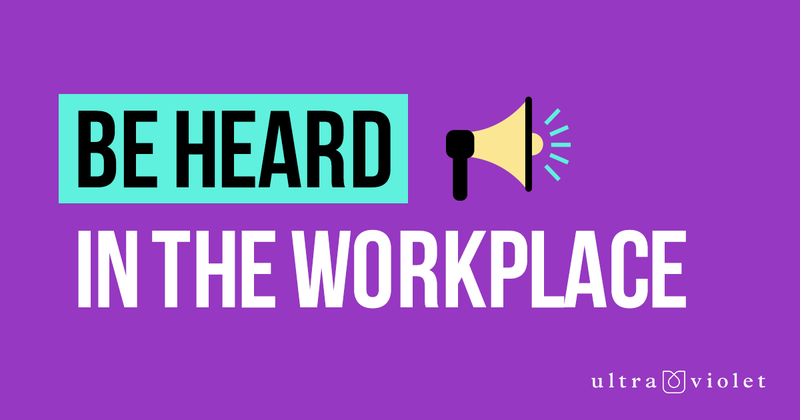 Sign this petition and tell your members of Congress why it's important to you to take on workplace harassment and sexual violence.